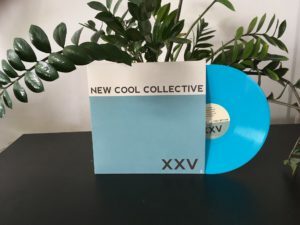 New Cool Collective – Official website » XXV out now! As you may know this year we have been celebrating our 25th anniversary with various special projects. To top the year off we have released a special album today. The album XXV represents a small part of what we have documented over the last 25 years and consists of 10 songs, handpicked by us. The record is now available digitally on all streaming- and download platforms and physically on vinyl in the Dox webshop. Along with the album release of XXV, we will be touring the country with an anniversary tour. We will be closing this year off with a special anniversary show in the Melkweg, Amsterdam on the 28th of December. During this show the we and our Big Band will be playing with a bunch of friends, both new and from the past 25 years. In the coming months we will be announcing these special guests. Tickets for this special evening are available now. See more tour dates below.